Be it your home or office, most people are in need of file cabinets for holding their important documents and folders securely. Just because a piece of furniture needs to be functional, doesn’t mean that it can’t be beautiful as well. We recognize your needs and add beauty to purpose. After spending endless hours on research, we present to you our list of 10 decorative file cabinets which are not only functional and sturdy but also sure to add panache and further brighten up your home and workspace interiors. The Sauder Edge Water Lateral File 2-Drawer Cabinet provides an excellent alternative to an ordinary office filing cabinet. With its elegant yet practical design, it gives you a lovely option to organize and store, all your important documents and files. Each drawer comes fitted with 2 metal knobs which assist in an easy operation. This chic cabinet has an interlocking safety mechanism that lets you open only one drawer at a time and is ideal for a commercial organization or even your study room. It’s gorgeous estate black wood finish simply exudes class and it is extremely low on maintenance and can be dusted clean with just a soft dry cloth. The Sauder Harbor View Lateral File cabinet is an ingenious cabinet which helps de-clutters your workstation by carefully storing and organizing all your files and important documents. The brilliant antique white finish gives your office or study room an airy feel and seamlessly blends in with traditional decors as well. Its large drawer offers ample space for stockpiling all your worksheets and files at one convenient place. The key lock further ensures that all your important documents are always well secured and kept private, away from prying eyes. Furthermore, it also provides four cubby-hole storage shelves which can be used to store or display photo frames, stationary, books or other utilities with relative ease. Donning a sophisticated and elegant look, the Altra Core 2 Drawer File Cabinet is sure to keep your home or office looking clean and organized and offers the perfect storage solution for all your important files and documents. Constructed from top quality, durable wood, this file cabinet is tough and it’s clean and smooth lines are guaranteed to keep you captivated for many years to come. The decorative handles allow for easy and simple handling and its unique alder finish is sure to liven up your interiors with its perfect blend of utility and class. Its compact design ensures that you can easily place it in the nook and corner of any room and its rich and refined lines are sure to match the decor of every single room it graces. 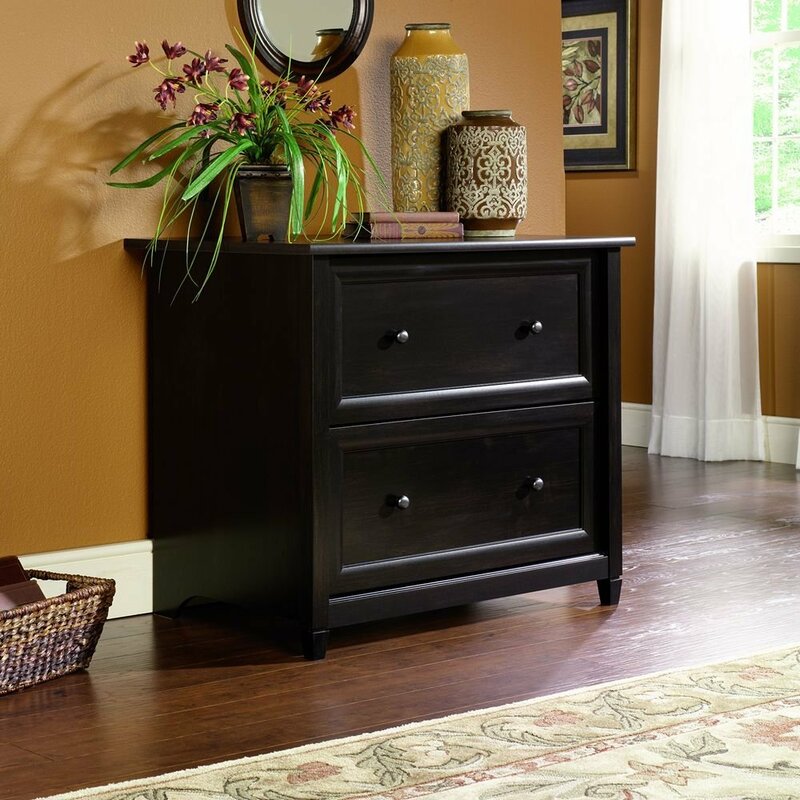 The Sauder Heritage Hill Lateral File Cabinet makes a wonderful addition to any room be it a dining room or living room furniture arrangement. 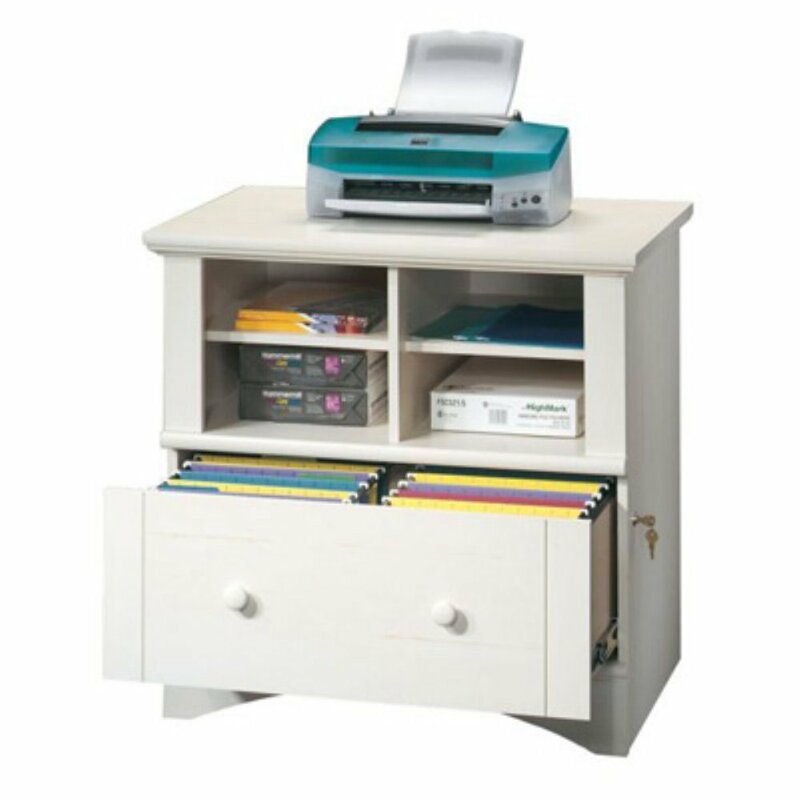 Display your family photo frames on the beautifully crafted wide top while storing all your valuable documents and folders, securely in the top drawer. Made out of strong durable wood, its ravishing cherry finish is sure to capture your hearts and your neighbor’s envy in equal measure for a long time. With its smooth full-extension glides and metal rails, filing your documents has never been this classy. With its sleek and gorgeous designed brass handles, this lateral file cabinet is undoubtedly the perfect answer to all your filing needs. Pure and simple, this contemporary Shutter Four drawer File Cabinet marries middle age rustiness with functionality and is thoughtfully designed, keeping your needs in mind. With its elegant and gorgeous louvers, this free standing spacious unit offers plenty of storage and includes rails to accommodate both legal and standard letter-sized files with ease. The rich weathered oak finish will greatly complement any décor. Detailed with a gorgeous beveled crown and a base with turned feet, this file cabinet is simply majestic. Its four drawers provide adequate space whilst ensuring you’ll have a chic and functional home office. Add a vintage charm to your workplace with this beautiful three drawer Cross Island Mobile File Cabinet. It’s medium brown oak finish and oak veneers are intricately designed to complement your rich brown furniture while giving your home or work office, the fresh upgrade it deserves. Each drawer offers ample storage for all your receipts, phone lists, visiting cards and other paperwork and its durable wood construction ensures that this unit is sturdy enough to grace your workspace for years to come. Its rustic antique brown hardware adds to its ubiquitous charm and its full extension roller glides make storage, convenient and easy. No time like the present to get organized and Ashley’s Cross Island Collection File Cabinet provides the perfect solution for all your storage needs. This richly detailed cabinet is hand finished and constructed with top quality wood and veneers for optimal robustness and durability. The spacious drawers are designed to easily hold a good amount of files and folders along with other miscellaneous items thus catering to all your filing needs. Extremely low on maintenance, this unit can be easily cleaned with a soft dry cloth. Its revolutionary space-saving design ensures that it can be tucked in any corner and its vintage versatility, enhances any home décor. Constructed from top quality solid mango wood coupled with a sophisticated mid-tone wood stain finish, this Sterling Home Decorative Partners filing cabinet displays exquisite detailing and is equipped with three large spacious drawers with rails to hold all your letter and legal sized folders. The understated elegance infused with traditional style is sure to liven up your home or office and create a truly magical atmosphere. The antique bronze hardware on each drawer compliments the vintage flair and the file cabinet is nifty enough to be placed anywhere in the room. Guaranteed to enhance the beauty of any home or office décor, this cabinet would look amazing in just about any room! 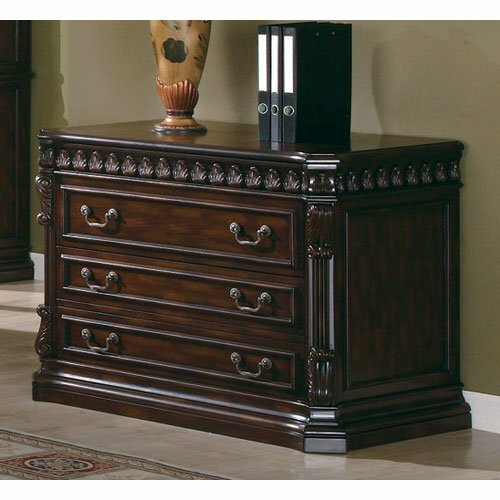 Liven up your mundane living space décor with the Whalen Dining and Accent Cabinet. A simple yet elegant and refined design, this cabinet has plenty of room to easily hold various items such as plates, glasses, books and more. Crafted out of wooden and metal components, this cabinet is sturdy and durable and it’s rich and unique charcoal finish is sure is sure to capture admiration from your family and friends . Featuring translucent double glass windows, it allows for easy viewing of the beautiful items put up on display. Its refined euro-style door hinges make for easy handling of the doors, this storage cabinet makes for a truly innovative addition and is guaranteed to accentuate the sophistication in your home. 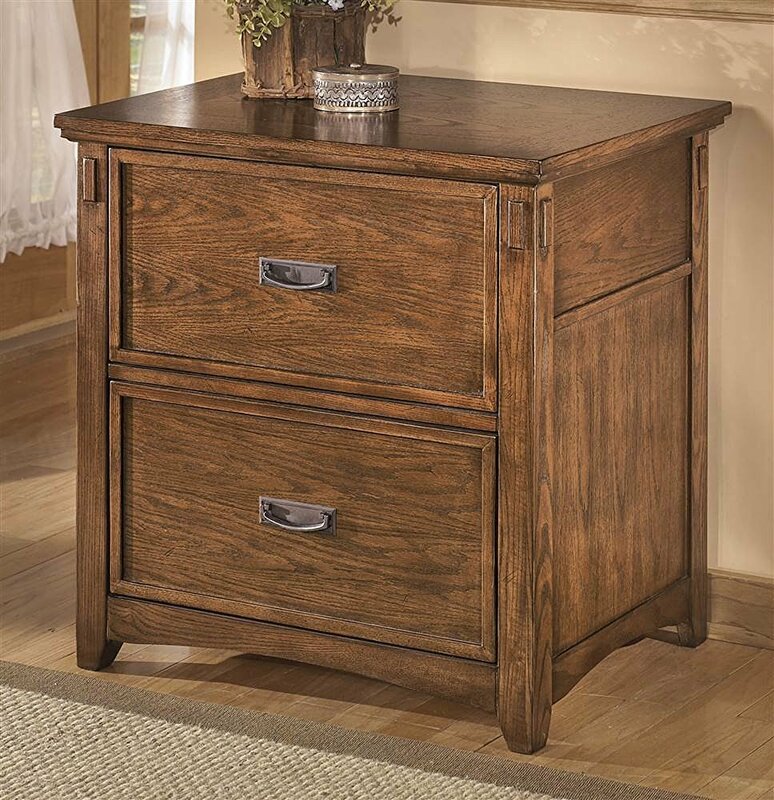 Bring back the elegant warmth and the contemporary style of 19th Century Colonial English era with the Coaster Home Furnishings, Traditional File Cabinet. Finished in a rich walnut brown finish, it’s detailed classic molding, acanthus leaf trim and fluted columns are sure to mesmerize and leave you awestruck. Each drawer features smooth drawer glides and is very spacious and large enough for all your legal or letter sized folders. The antique metal bail pull handles add to the exquisite detailing and sure enough to make a dramatic addition to any room. Bring home this beautiful, old-world cabinet and experience its multi-functionality from the comforts of your home or office. Keep all of your important files and documents in place with the decorative file cabinets. Choose from the top 10 models reviewed above. Remember to choose the model that suits well with your indoor home finish. Remember that a poor quality appliance can also ruin your home’s overall indoor ambiance. Take quality as an important constraint before opting for cheaper models. A wisely chosen file cabinet can be the most attractive piece of all appliances in your indoor space. We are Linjo Joson and Mathew Kevin – two DIY enthusiasts! We chose to focus on shelves and build a blog that features different types of shelving units. 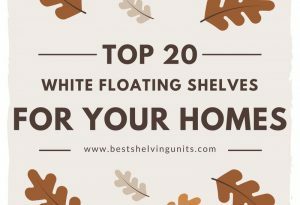 We started this blog to review traditional, contemporary and modern shelving units for home and office rooms.